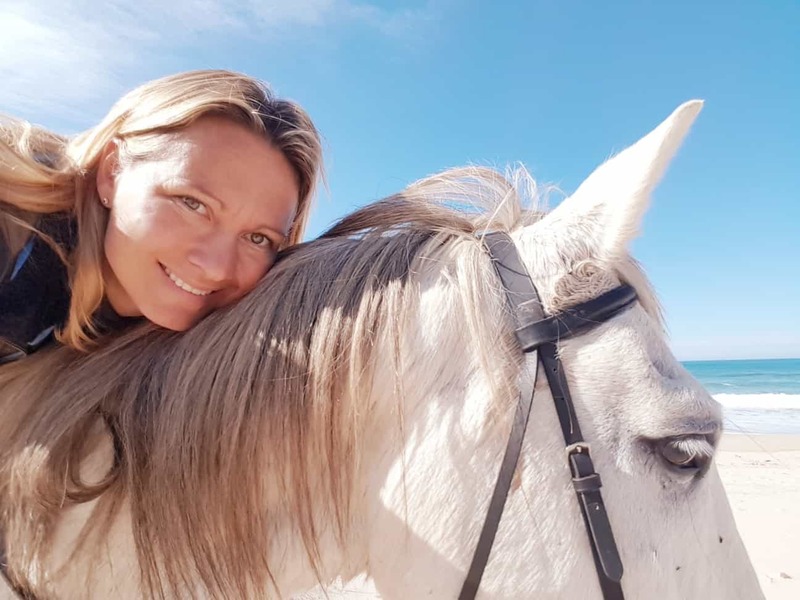 My name is Meike and I´m inviting you for a unique horse riding experience through Portugal’s incredible nature. I will take you on special trailrides, exploring all the Portuguese treasures. Weather you are looking for a magical Coastride near Vila Nova de Milfontes, or a superb unspoiled nature trailride through the hills of Cercal, contact me and I will make it happen! I myself am an experienced rider and qualified teacher, and have had the pleasure of taking both experienced as well as unexperienced riders on beautiful and fun but safe trailrides through the Alentejo for the past 10 years. I was born in Holland, have been riding since a very young age and soon started working in the equestrian industry. I have settled in Portugal where I enjoy showing people Portugal´s beauty on horseback for the last decade. Your children would like a First-Time Magic Horse experience? I promise you they will love the experience! And mark your trailride or lesson today!